Check out Tobi's Alise Chunky Knit Sweater Dress Who needs a 'nice' list? 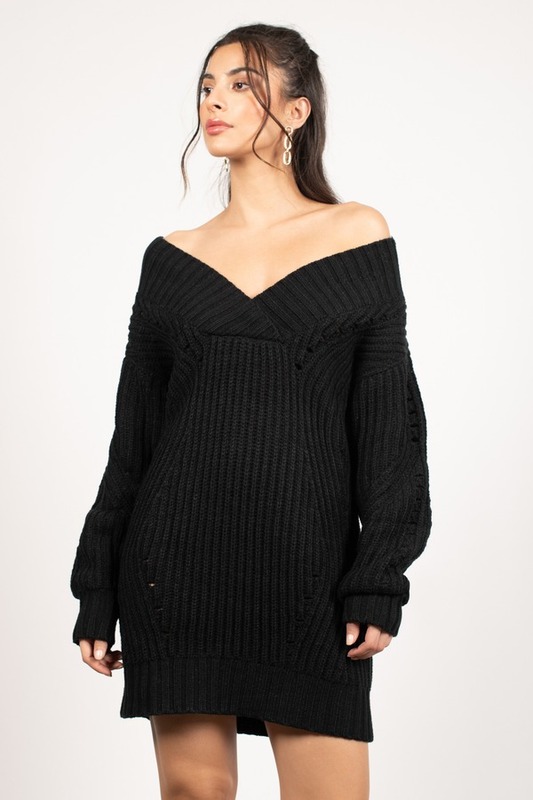 When you'd rather be naughty than play it safe this holiday, wear the Alise Black Chunky Knit Sweater Dress. This v neck sweater dress features a gorgeous wide v neckline, oversized sleeves, and a slouchy fit. Pair this slouchy sweater with thigh high boots. Who needs a 'nice' list? When you'd rather be naughty than play it safe this holiday, wear the Alise Black Chunky Knit Sweater Dress. This v neck sweater dress features a gorgeous wide v neckline, oversized sleeves, and a slouchy fit. Pair this slouchy sweater with thigh high boots. Who needs a 'nice' list? 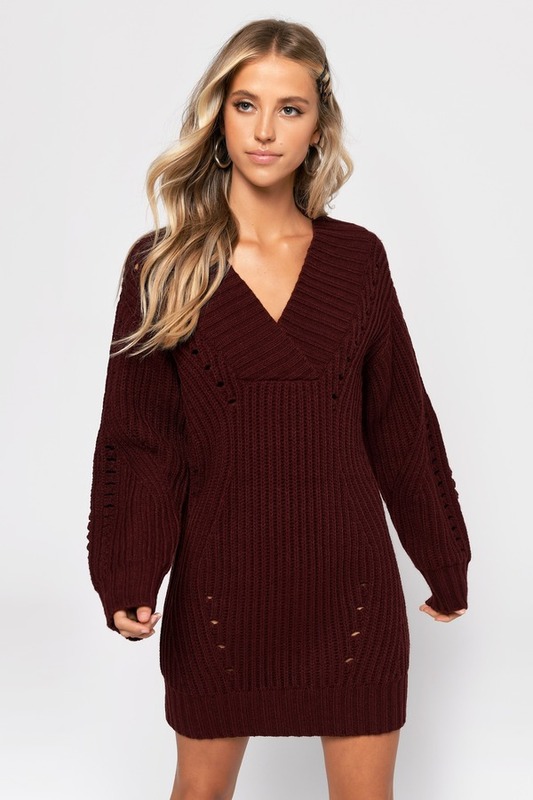 When you'd rather be naughty than play it safe this holiday, wear the Alise Wine Chunky Knit Sweater Dress. This v neck sweater dress features a gorgeous wide v neckline, oversized sleeves, and a slouchy fit. Pair this slouchy sweater with thigh high boots. Who needs a 'nice' list? When you'd rather be naughty than play it safe this holiday, wear the Alise Ivory Chunky Knit Sweater Dress. This v neck sweater dress features a gorgeous wide v neckline, oversized sleeves, and a slouchy fit. Pair this slouchy sweater with thigh high boots. Wine,White, Black modeled on a size Small.